Millions of people watch Downton Abbey on Television, or visit the stately homes that have managed to avoid demolition, through some combination of good luck, intelligent management or adoption by a group such as The National Trust. Unfortunately, many thousands of houses did not survive. Many were lost to urban development, fire, or simple neglect; years ago, people were less included to worry about conservation, and it turned out that a great homes which had been passed down through centuries could be lost within a generation. Many of these homes became simply unaffordable as the owners' incomes fell, or due to inheritance tax demands. In the case of Beaudesert (pictured above) the "Dancing 5th Marquess of Anglesey" simply gambled his fortune away, leaving his estate to ruin and eventual sale after his death in Monte Carlo in 1904. While some of the neglectful practices and development schemes common to the 20th century are no longer accepted, many great houses are still at risk. "Death, debt, urban sprawl: there are many reasons why England has lost so many of its Downton Abbeys. 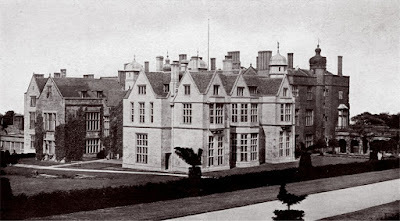 A third of Britain’s historic estates, with their elegant country houses, deer parks, farms and churches with family crypts, have been demolished, diminished or turned into flats — 1,000 since World War II. The lucky ones got taken over by the National Trust. The unlucky ones had the contents ripped out and sold off and were then flattened by developers." 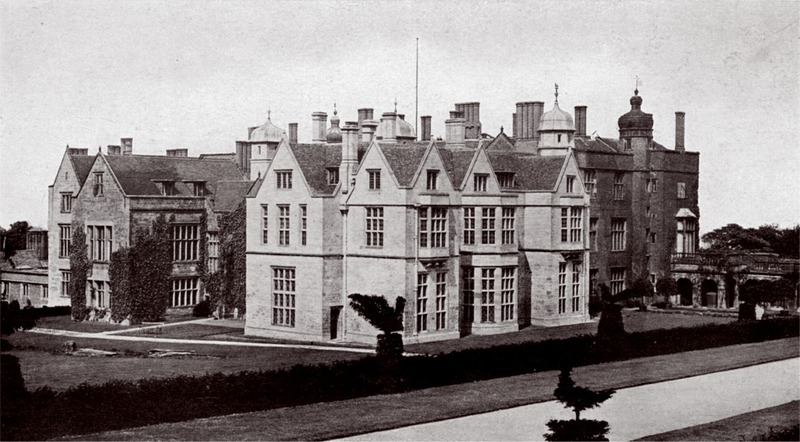 The article highlights Historian John Martin Robinson’s new book, Felling The Ancient Oaks, How England Lost Its Great Country Estates (Aurum, £30), which examines the fate of 21 of these extinct estates, illustrated by poignant photographs of a lost world.